St. Paul’s Como Park (more commonly known as Como) is one of the Twin Cities’ most vibrant neighborhoods, both figuratively and literally. Known for its lush multicolored gardens, Como finds new ways to showcase its floral beauties throughout the year. 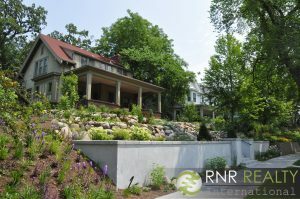 Each year, the neighborhood hosts the Como Park Garden Tour, which features a dozen local gardens that are too pretty to be missed. 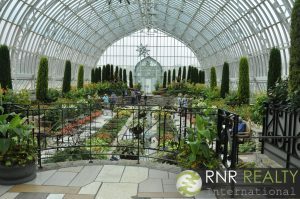 And of course, there is the Marjorie McNeely Conservatory, a floral paradise perennially in bloom that just celebrated its 100th birthday in 2015. 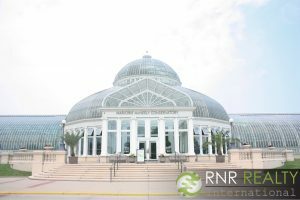 This year, its annual Summer Flower Show (open now through the beginning of October) will feature a lily named “Purple Prince” in honor of Minnesota’s beloved late musician. In conjunction with the conservatory, the neighborhood’s biggest attraction is, without a doubt, the Como Park Zoo. 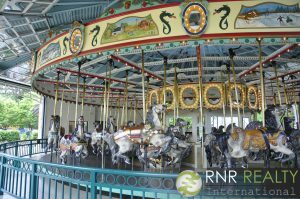 The zoo and conservatory grounds feature a wide variety of family-friendly activities, including everything from animal exhibits to a historic carousel to an amusement park. You’ll find that the zoo is a favorite destination for school field trips because admission for all is FREE 365 days per year (with a request for donations when possible). Throughout the year, there are many special events held at the zoo and conservatory, including Groovin’ in the Garden (a summer concert series – see 2016’s schedule here), the Travelers Sunset Affair in July, the Japanese Lantern Lighting Festival in August, and ZooBoo for Halloween. The month of July is particularly special, thanks to Como Fest, a neighborhood-wide celebration that promises fun events every weekend of the month. 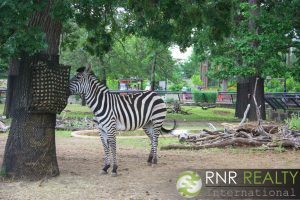 Though they have a lot to offer on their own, the zoo and conservatory are just part of the larger Como Regional Park area. 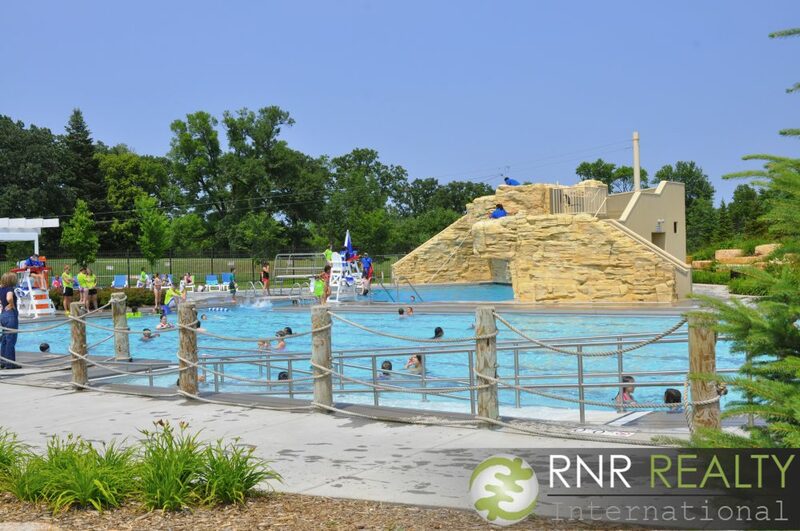 In less than a square mile space, the neighborhood manages to squeeze in a ski center, golf course, community pool/waterpark, plenty of green space, and oh yeah, a lake! Como Lake is especially popular during the summer, when it’s riddled with paddle boats and fishing poles. While Como is most well-known for its attractions, which draw visitors from near and far, it is also called home on a daily basis by nearly 12,000 people. 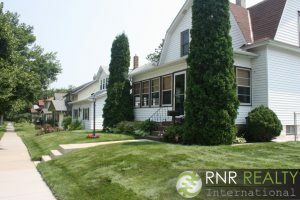 Buyers, on average, pay around $224,500 to purchase a home here, while the median home estimated value is at $220,380 (as of May 2016), higher than the median for both Ramsey County and Minnesota as a whole. Como’s median home age is 75 years, and the neighborhood features a variety of housing styles. Driving around, you’ll see everything from large Victorian-era homes by the lake, to 1920’s one-and-a-half stories and 1950’s ranches elsewhere. Como is a perfect choice for young professionals and mid-career businesspeople, as most residents are between ages 24 to 54. With a 15-minute drive to downtown St. Paul and only a few minutes longer ride to downtown Minneapolis, it’s easy to see why they would choose this neighborhood. In fact, since Como is so centrally located between the two downtowns, 50% of residents have only a 15-30 minute commute to work. Easy access to I-94, 35E and 35W – the gateways to essentially anywhere you need to go throughout the metro area – means convenience couldn’t be better. Como is even served by several bus routes: lines 3, 61, 65, and 83 (a couple of which directly serve the Como Regional Park area). Once you know that 81% of Como’s St. Paulites have a 2-year college degree or more, it’s easy to see why they’ve made the smart decision to live here. Moreover, 10% of the residents are employed in education (more than any other single sector in the neighborhood). 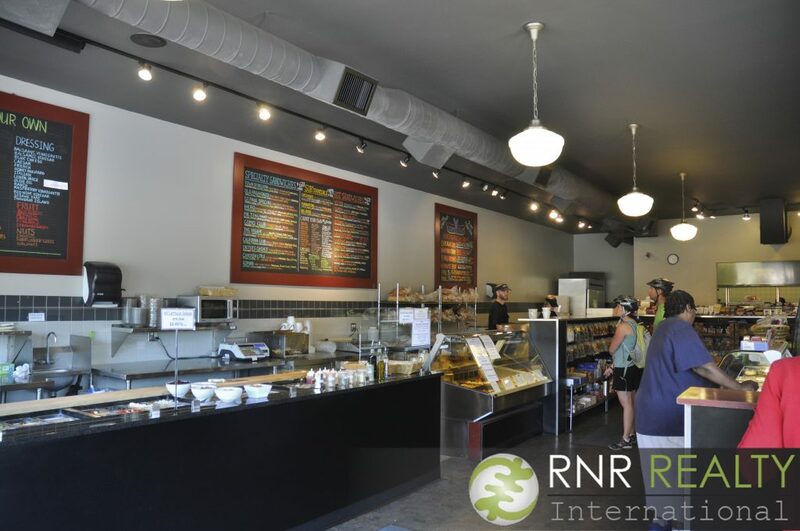 For having a relatively small geographic footprint, the Como neighborhood sure does have a generous selection of dining options per capita, ranging from Asian cuisine to pub eats to seaside delicacies. Nelson Cheese & Deli (pictured below) is a local eatery with cheese offerings from around the state. Meanwhile, Half Time Rec has been called the “Best Restaurant to Take Out-of-Towners” by City Pages and was even featured in the 1990s comedy film Grumpy Old Men. But if you feel like eating outside and having a great view of the lake, then Como Dockside will surely satisfy your tastebuds. Of course, come August and September, the Minnesota State Fair is in full swing, and it’s located right across Snelling Avenue. Living in Como, you could walk, bike, or bus to the fairgrounds and avoid the hassle of traffic and parking. 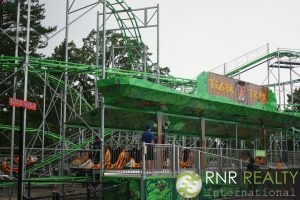 Or if you prefer to head out of town when the fair comes to town, just think of the Airbnb potential (there’s nothing wrong with earning some extra income to help with your mortgage). 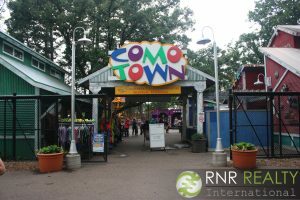 Como is also just a short drive through Falcon Heights to Roseville and all of its shopping amenities. So if you’re looking for a centrally located neighborhood with plenty of outdoor recreational opportunities, search no further than Como! 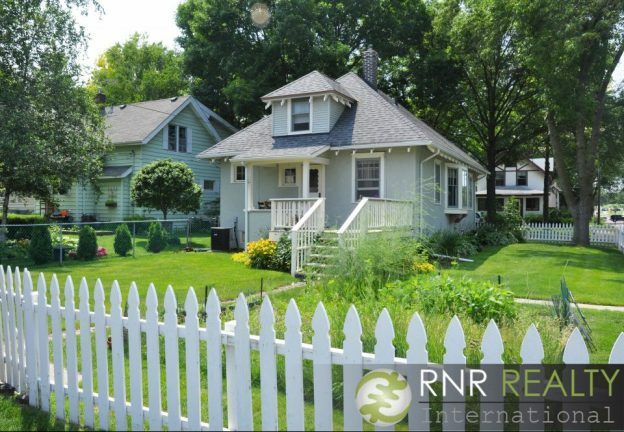 This entry was posted in Best of the Twin Cities, Neighborhood Features on July 4, 2016 by admin.